If you are thinking about getting into running in 2016 and do not know where to start hopefully Redway Runners can help you with your goals and you can have fun along the way. You do not need to start with these groups, if you can run then go straight into our club runs – the main runs are Monday and Thursday evenings and Wednesday mornings, in these we have a whole mixture of different runs from easier paced runs to quicker groups and many of our general runs do our ‘famous’ loop backs so we keep everyone together and safe. Some of these groups do interval type work giving you the chance to work on fitness and strength. 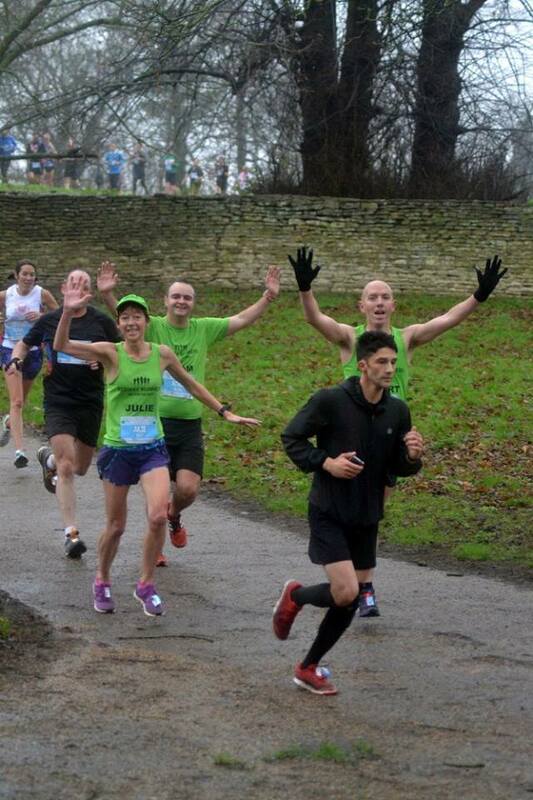 If you like the longer runs then our Sunday runs are ideal and from January these focus on those working up to the Spring marathon, they start at 9.00am from different places each week – these are very popular in the new year and we get very large numbers of runners – often counted in hundreds of runners. http://www.redwayrunners.com/wp-content/uploads/2015/07/Veritie-pciture.jpg 960 960 Martin Lawrence http://www.redwayrunners.com/wp-content/uploads/2013/04/logo.jpg Martin Lawrence2015-12-21 21:43:122015-12-21 21:43:12Want to Start running? “I think it’s the best life changing course of action that I have ever chosen when I joined the Redway Runners in June/July 2015 on the beginner’s course and then found out about the Z2H experiment. I have never met such warm welcoming and kind bunch of people who made me feel welcome right from the start and I thank you all for that. Now on to the big one at the MK Marathon on 2 May 2016. Good luck! 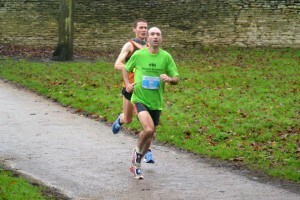 167 Redway Runners donned the now famous bright green shirt and took part in the MK Winter Half Marathon on 13 December. Ben Fairhall (pictured below) celebrated his birthday by coming 2nd overall in the race with a superb personal best time of 1.11.31. Ben’s wife Philippa also ran a personal best of 2.05.08 so quite a day for the Fairhall family! First Redway Runner lady home was Camilla Meakins in a very impressive 1.29.56. At the other end of the running scale 17 of the clubs “Zero to Hero” Group took a massive step towards their first marathon in May 2016 by doing their first ever half marathon. Many congratulations to Stephanie Dutton, Danny Welford, Bill Collins, Sam Barry, Annette Wadsworth, Bali Turner, Natalie Smart, Wendy McConnell, Layla Morrison, Amanda Holland, Darren Klein, Aimee Purnell-Willett, Constance Hobbs and Paul Cobbet, Sarah Woodruff, Ashley Flanagan and Glynis Wiles for completing this major milestone. Personal bests were recorded by many Redway Runners, including Helen Whalley, Sarah Lawrence, Paul Hull, Sam Bates, Elaine Wells, Suzanne Sharp, Helen Wiggins, Sharon Vallance-Kirby, Pet Hedges, Jo Crisp, Paul Newton, Adam Sharman, Nicole Clarke, Lindsay O’Kane, Amanda Clark, Simon Read, Paul Mizon, Steve Burlace, Hannah Watkins Connelly, Warwick Payne and mother and son Ali and Nathan Rutherford. Well done to everyone who took part. Redway Runners have a number of 8 week Beginner’s Courses starting in January – please see redwayrunners.com for details and to sign up. Following last January’s successful social evening where over 120 Redway Runners enjoyed an MK Lightning ice hockey match we are organising another trip to the Milton Keynes Lightning ice hockey match on Saturday 16 January 2016. The game starts at 7pm and is against the Guildford Flame at the ice rink just behind “Argos” and “Toys R Us” near MK Central Station. MK Lightning are having a good season, being 2nd in the league at the time of writing. We have managed to get an excellent discount on ticket prices. Adults will cost £8.50 (instead of the normal £13.50) and children under 16 years of age will be charged at £4 (instead of the normal £7.00). Those who have never been to ice hockey before are in for an evening of a fast paced, hard hitting game with the odd fight here and there! The game will be over at about 9.15pm. There is a splendid bar and good food and beverage facilities. We will all be seated in a block together which will add to the fun. or a cheque (payable to ‘Redway Runners’) to Martin will secure your seats. Absolute closing date will be Wednesday 13 January at 5pm. 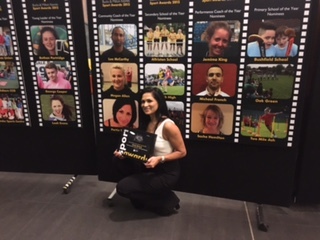 I am overwhelmed being shortlisted for Community Coach of the year award 2015. Despite not winning the award, being shortlisted in the final three is total achievement of which I am proud of thank you Redway Runners and Leap for supporting me. As a shortlisted candidate in the final three means I now join the list of elite sport facilitators in the county. Our running club (RR) has a wonderful family feel catering for all abilities in running, our volunteer run leaders give up their time to help runners, especially Martin Lawrence rain or shine he is out to lead, his love for running is infectious it rubbed off on me. The best part of my role as Club Coach is to share and follow my runners journey, from day one on a Beginners course, hearing comments like:- “I can’t run”, I”am too slow” to eventually running a 5k’s 10k’s 1/2 marathon’s and full marathon. I love seeing my athletes using our running club Redway Runners as tool to reach their personal goals. Everyone is unique with the right metal strength, determination and training you can achieve anything. Lastly thank you to my friends who attended the event with me. Keep Running. See you all soon. Myself and my wife, Sara-Jane King joined RR 6 months ago. 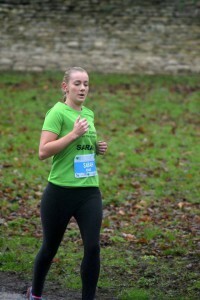 My aim was to get my waistline to sub 36” for the first time in 22 years, Sara Jane’s aim was to run with the club to improve her Marathon time. Over the last 6 months and, in spite of numerous footballing injuries hampering me, (right knee, left knee, toes, shoulder, back, whole body) I have fallen in love with running (on some runs literally falling…… on my nose!) As a result I will be potentially winning the 2016 London Marathon (if around 30,000 runners do not turn up on the day) on behalf of the Haemophilia Society. Waitrose at Oakrove, where like me, I see many a Redway Runner enjoying a ‘free’ cup of coffee, have kindly allowed me to bag pack for their customers on Xmas Eve to help raise money for our Marathon appeal. Thus, if any of you kind hearted RR’s would like to spare a little bit of time to help out for this very special cause between 8am to 12pm please contact me on mike.king@people-places.co.uk.